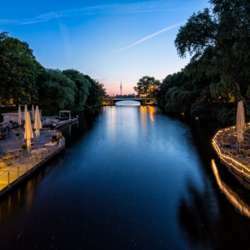 You are invited to come and meet other InterNations and Hamburg newbies In our upcoming NewComers event at the Spanische Treppe resturant. Spanische Treppe is a resturant located very close to Winterhude and Mundsburg on the Banks of the outer Alster. It provides an amazing scenery and you should come in hungry, as the tapas there are definately worth trying.